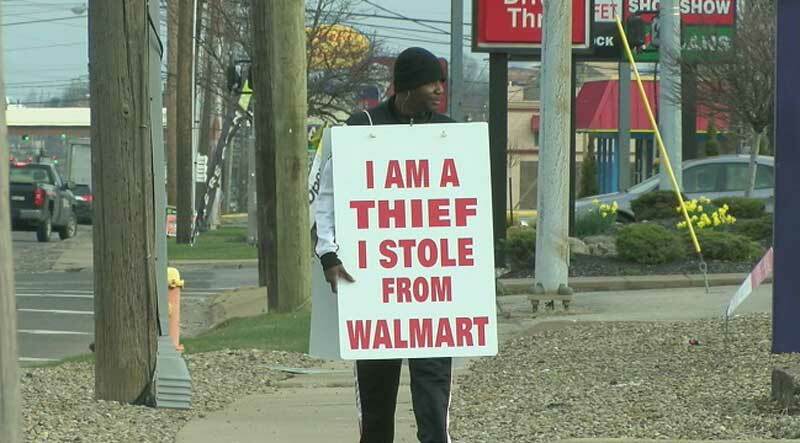 A man who was recently convicted of stealing a television was given a choice of going to jail, or wearing a sign saying he's a thief. Greg Davenport, 43, was outside Walmart in Liberty, Ohio, on Wednesday carrying a sign saying, “I am a thief. 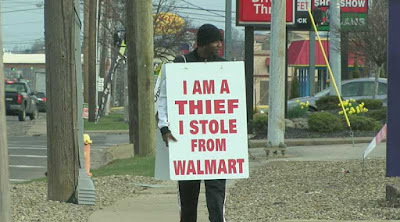 I stole from Walmart.” Davenport said he will be holding the sign for eight hours a day for 10 days, rather than spending 30 days in jail. 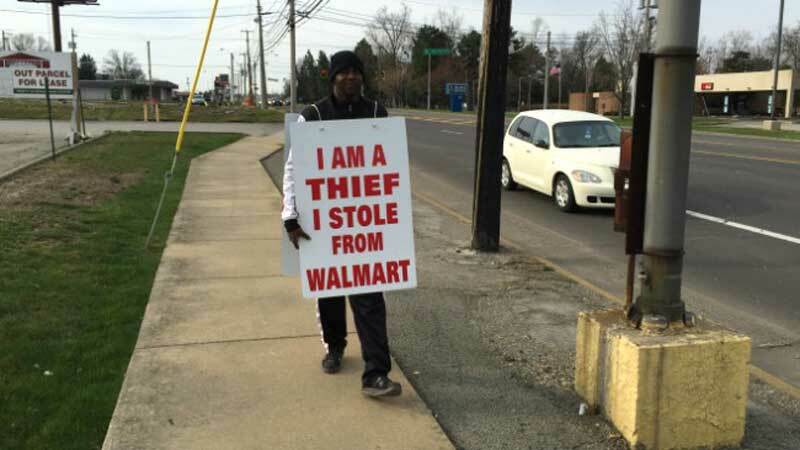 He said he was caught trying to take a 52-inch television out of the store. “I stole, I got punished. That’s it,” Davenport said, adding that he chose the punishment so he could take care of his parents. Someone checks every other hour to make sure Davenport is walking the street. 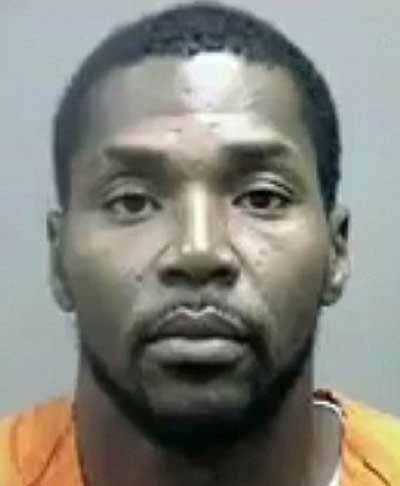 Davenport has previous petty theft charges in Austintown, Boardman, Canfield and now Liberty. Liberty Police Chief Richard Tisone he hopes holding the sign embarrasses Davenport enough to keep him from committing the same crime again. “Maybe you can get to their inner side. Maybe they’re a little embarrassed by the fact they have to hold a sign up, so it might affect some of these individuals, so I’m all for it,” he said.